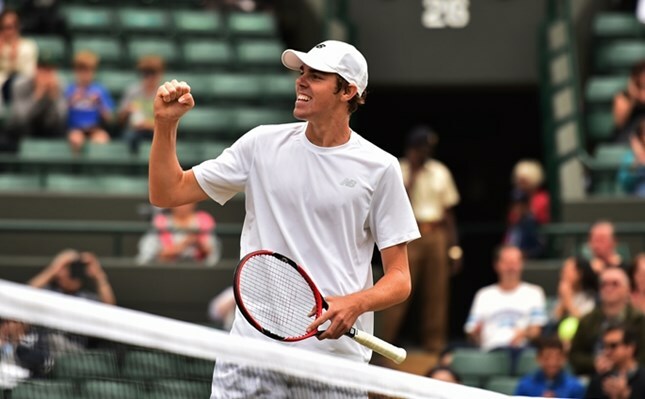 Reilly Opelka is American tennis’ next big thing…literally. As the tallest player ever to play on the ATP World Tour, standing at 6'11, Opelka may very well give three-time defending Atlanta champ, John Isner, a run for his money, clocking his serve on the regular at the mid-130 mph range. Last year, Opelka made his first major splash onto the tennis scene after claiming the 2015 Wimbledon Boys' Singles title event, defeating then junior world No.1 and fellow ATP #NextGen star, Taylor Fritz, before taking out Mikael Ymer of Sweden. The Michigan native started playing tennis at age six and ironically began playing basketball around the same age. After switching to tennis full time at the age of 13, Opelka began training in Florida at the USTA facility. Opelka would become the second straight American winner of the Wimbledon boys’ event, following former Wake Forest star, Noah Rubin’s victory in 2014. It has been 13 years since an American man last won a grand slam title but Opelka and his fellow #NextGen peers look to change that.